Get home cleaning services in Mumbai with a 30-Day Service Guarantee and Protection against Damage upto INR 10,000. Our 4+ rated equipped & trained team who will deep clean your house using non-hazardous chemicals. Living in unhygienic conditions can have an impact on your health. Therefore, it is important to keep your home clean and remove dust, germs, pests, clutter, etc. regularly. If you find it to be a challenging task then you can book professional home deep cleaning services from UrbanClap today. Helpful staff. Good work. Need to pay more attention to detail during cleaning. Excellent Service by Mukesh, Kailash and Sunil. The team worked very well. Thwy finished within 5 hrs. Feedback - Need proper cleaning agent and thorough cleaning of bathroom fittings. Basin tap got spoilt because of cleaning solution. 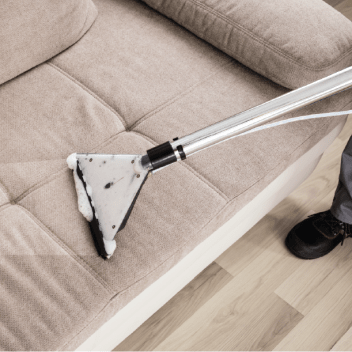 A sparkling clean house is something that everyone desires. However, it is difficult to attain given the busy schedule of people these days. 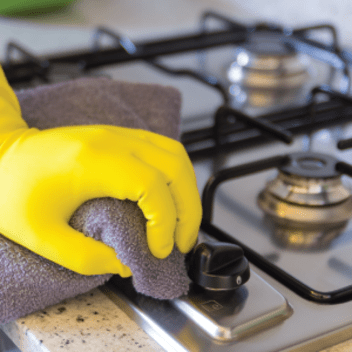 So, if you do not want to compromise on the cleanliness of your home then you must consider going for professional home deep cleaning services from UrbanClap. The best part is that you can avail these services as frequently as (or rarely) you require them. If you are looking for specific cleaning services such as bathroom cleaning, kitchen cleaning, sofa cleaning, etc. then you can also find UrbanClap professionals who provide these services. Save Time: Time is the most precious possession you have and it is best spent on things that bring you joy or add value to your life. And honestly, sweeping the floors and scrubbing the toilet may not be the best use of your time. So, it is best that you delegate these tasks to a professional who is trained to handle them. Reduce Stress: There is nothing more depressing for people living in a house than dirty surroundings. And adding the tasks required to keep your house in order to an already packed to-do list is only going to stress you out. Consider hiring professionals to take care of cleaning your home so that you can have one thing less to worry about. 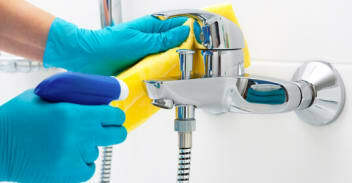 Efficient Cleaning: Cleaning professionals are trained in carrying out cleaning jobs efficiently. They also have a lot of tools and equipment that can get the job done quickly. You may not have all the tools and equipment or the necessary training to handle special cleaning equipment to clean as efficiently. Therefore, it is better to let the professionals do the job. The frequency can also depend on the number of members living in a house, monthly budget, cleaning needs, etc. 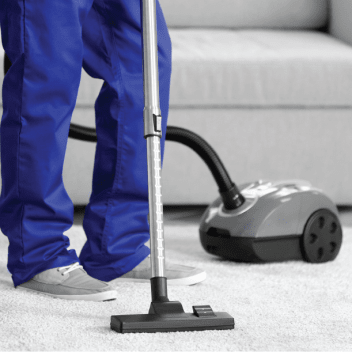 Vetted Professionals: When you hire cleaning professionals from UrbanClap, you can be sure that the professionals have cleared the stringent selection criteria and background checks before getting registered with us. They will do their job with utmost care and professionalism and make sure that the job is completed to your satisfaction. Affordable Rates: UrbanClap offers home deep cleaning services at affordable rates. The rate is decided based on the size of the apartment to make sure that you get your money’s worth and are never over-charged for availing these services. You also get insurance coverage up to Rs. 10,000 for each booking against damage. High-quality Services: Our professionals are trained in carrying out their jobs and can do the task without receiving instructions or involvement on your part. They also have special cleaning equipment to carry out the task effectively. When you hire them, you do not need to supervise or help them when they are carrying out the task and still expect to receive high-quality services.